“One of the best things about living in Spain is the simplicity,” says Fiona Lennol. “Less is expected of you. You’re not required to have a fancy car or a big house. You can be yourself and just enjoy life. When you wake in the morning to blue skies and sunshine the day is already good. “We came to Oliva for a better future for our children and an improved lifestyle where we had more time to be better parents. It definitely turned out to be a good move”. 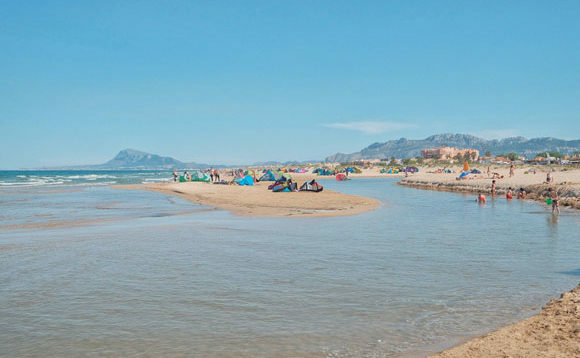 Oliva is a small, friendly town nestled midway between Valencia and Alicante on Spain‘s breathtaking Costa Blanca. 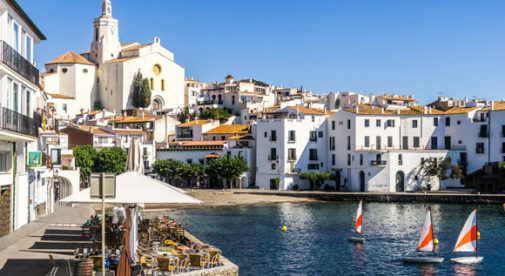 With the Mediterranean Sea in front, mountains behind, and beautiful white-sand beaches, Oliva is a picture-perfect town. “The amazing beaches were a contributing factor when we chose Oliva,” says Fiona. “My favorite place is the quaint port of Club Nautico, where we often wander, enjoying stunning views of the mountains and sea. The paseo (promenade) running through the center of town is a meeting place for locals, with its small bars and children’s park. A nearby theatre shows English films on Thursday. The bustling Friday market sells fresh produce—you can pick up a pound of clementines for about $1.20 or a whole watermelon for $0.25 per pound. For those who enjoy a little culture, there are museums and an art gallery. Eating out is inexpensive. A menu del dia (menu of the day) costs $6.75 to $10 for paella, meat, or fish dishes, plus a dessert and drink. Fiona cherishes the extra time she gets to spend with her husband, Paul, and sons, Christopher and Matthew. Four years ago she opened Honey Dukes, a café/bar serving a variety of English and Spanish food. Work is only a few minutes’ walk from her home. And within a year of moving to Oliva, both Paul and Fiona’s parents joined them. They also wanted a more carefree life and better lifestyle. With a low crime rate and everything centered on family life, Spain appealed to them enormously. The low cost of living was another plus. Renting a four-bedroom apartment in the center of town is around $450 a month. Bottled gas for cooking costs $14.05 and lasts about three months. Fiona’s home is a large seven-bedroom, four-bathroom property with a plunge pool. “We would pay four times the amount for a place like this back home,” says Fiona. Fiona and Paul like to spend weekends in nearby Benidorm, Murcia, and Valencia. “Benidorm is an amazing place,” says Fiona. “Particularly the old town which has traditional narrow winding streets, tapas bars, and tiny shops selling handcrafted goods.” One of Fiona’s favorites is The Wax Shop, where you can watch candles being made.